Quiz: Can you name every Real Madrid manager this century? 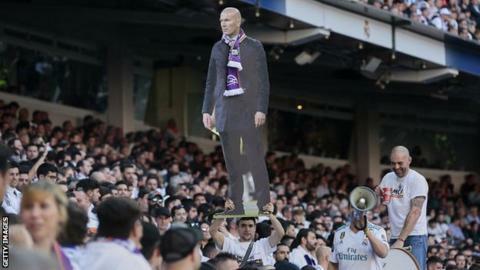 Zinedine Zidane returned as Real Madrid manager on Saturday and oversaw a 2-0 home win over Celta Vigo. His latest stint is the 17th managerial reign at Real this century. But can you name the 16 managers who preceded him? It's a tough one so we'll give you a clue to get you started - Zidane is one of them! Can you name every Real Madrid manager this century?